Memi The Rainbow is the sweetest shop run by Patricia, an Italienne in Paris! If you subscribe to the belief that everything is cuter with a face on it (and who doesn't? 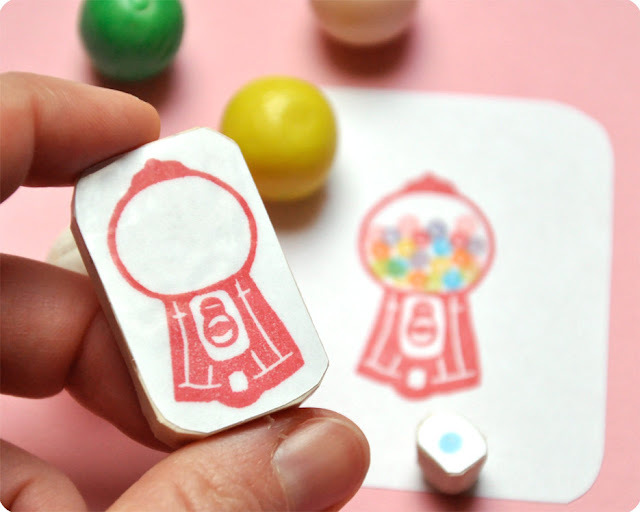 ), you'll love Patricia's whimsical hand carved stamps. 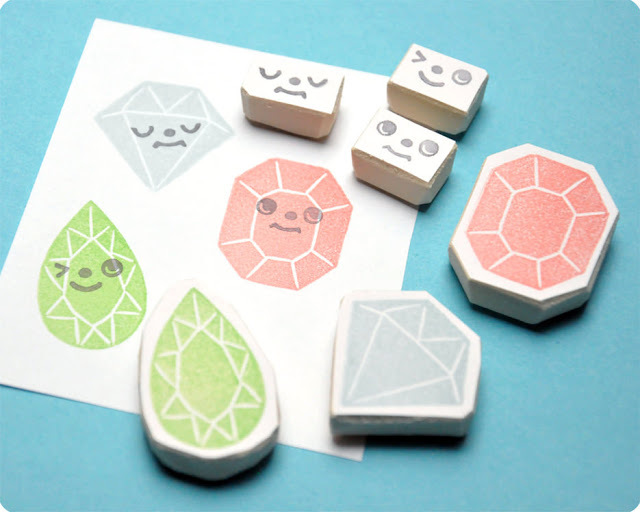 There are even washi tape stamps for you diehard tape lovers! Anyone else craving an ice cream cone? 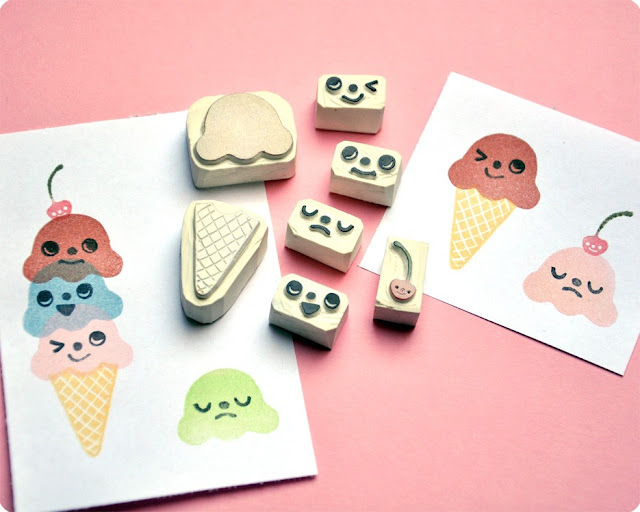 I love those ice cream stamps! Me too! Who doesn't want their ice cream to wink at them?! Love the stamps! I agree, adding a face really bumps up the cuteness on things, especially those ice cream cones. It really does! She has a cupcake set with faces - just as cute! Thanks for sharing. Lovely and cute tips.